Hello family reunion planners. You've worked hard to keep the home fires burning. 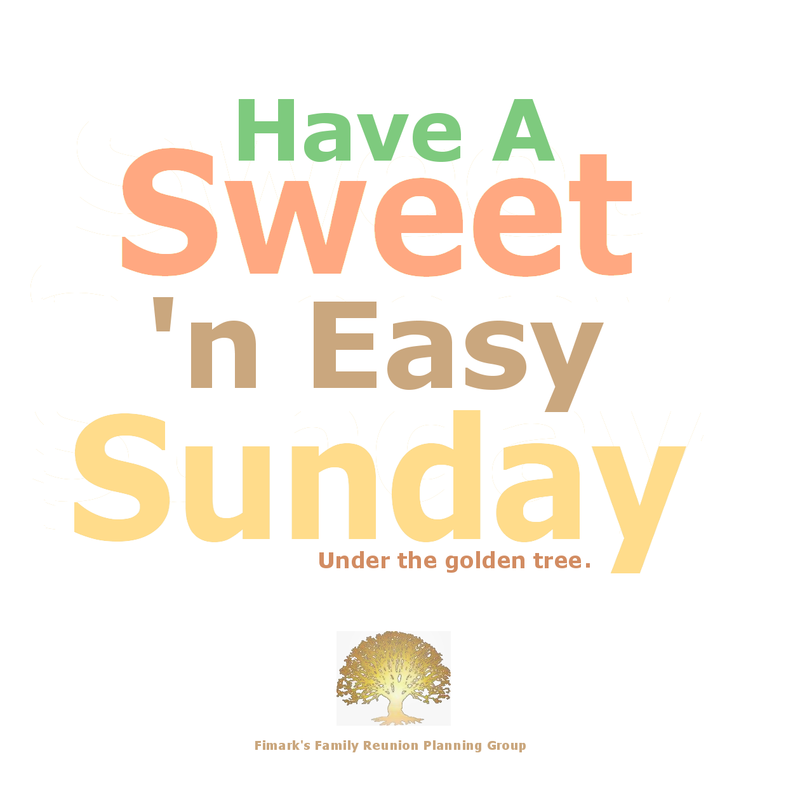 Wishing you all a Sweet 'n Easy Sunday Morning, Afternoon and Evening. From under the Golden Tree.